Dinner time has come and gone. You find yourself facing a sink full of dirty pots, pans, and dishes, while the rest of your family enjoys a movie for the remainder of the night. You’re all too familiar with this scenario, but this time there’s an air of confidence to you. You’re not hesitant about the challenge. One can even say, you were waiting for this moment all evening. Why? Because you recently installed the Paris Single-Handle Pull-Down Kitchen Faucet finished in Polished Chrome. With its solid brass construction, 1.8 GPM/6.8 LPM spout flow rate, single lever handle, and extended spout, what’s there to fear? 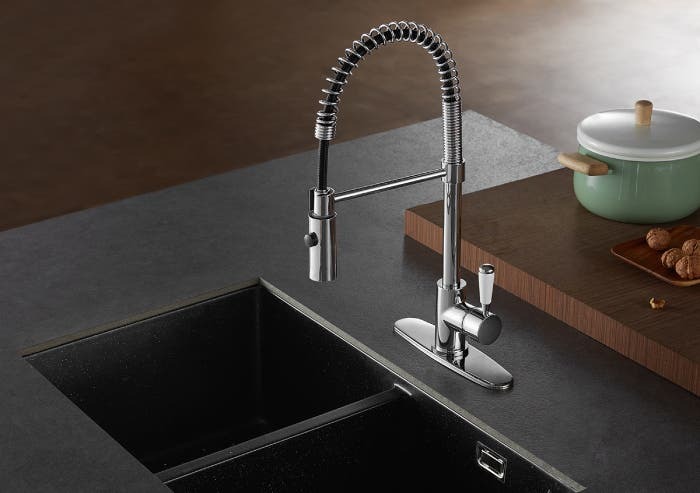 Your kitchen has never been paired with such a superbly-crafted kitchen faucet before. You can cover every centimeter of your sink with its easily maneuverable spout. 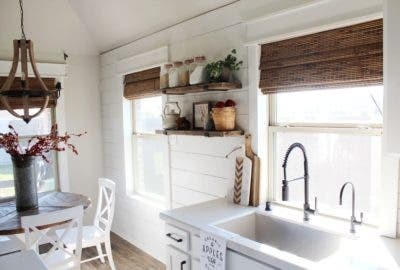 Your new kitchen faucet is the perfect partner against a sink full of dishes. You know this to be true, which is why you’re eager to tackle the challenge right in front of you. 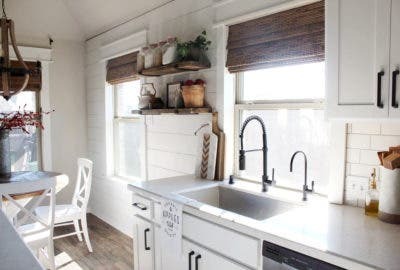 You acknowledge you’ll never see a sink full of dishes the same again. Cleaning is now on easy-mode with your polished chrome kitchen faucet. The Paris Single-Handle Pull-Down Kitchen Faucet exemplifies crafted aesthetic beauty paired with exceptional performance. 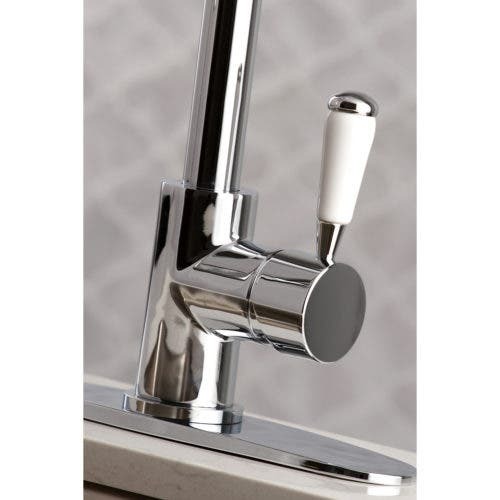 Porcelain lever handles and rounded architecture mark the elegant refinement of this faucet. The high-arch spout swivels, features a dual-function pull-down sprayer and is ready to tackle an array of tough messes. 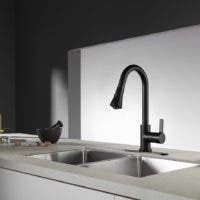 Designed for optimal functionality, state-of-the-art technology is featured throughout this kitchen faucet. Matching finish accessories are available to complete the look of your kitchen. Crafted to bring aesthetic beauty alongside exceptional performance, the Paris Collection boasts the common features of porcelain lever handles and rounded architecture among its various faucets that which solidifies their pristine refinement. With long-lasting durability and reliability, the collection embodies an elegant balance of modern luxury and classical artistry. Embolden your home ensemble with the addition of any of the classic kitchen or bathroom faucets from the Paris Collection.